The government has announced a £94million spend to improve the quality of Britain’s cycle routes and facilities. This investment comes as a result of the UK’s 2025 goal that 10% of all journeys are made by bicycle. The money will be used to enhance existing cycle routes and create additional routes, while also improving traffic facilities to ensure roads are friendlier and safer for cyclists. My guest blogger, Samantha, reckons there is a lot that cyclists can do for themselves to improve their safety while cycling on the UK roads. Here are her five tips for cycle safety in winter. 1) The darker evenings mean that it is time to adapt your cycling clothing. There are a number of option for greater visibility including hi-viz vests and sashes, hi-viz jackets, reflective armband and even reflective sprays that can be added to clothing and bikes. 2) Bike lights. Never leave home without a bright white front light and a bright red back light. Add more lights – and flashing lights – for greater visibility to other areas of your bike, clothing and rucksack. 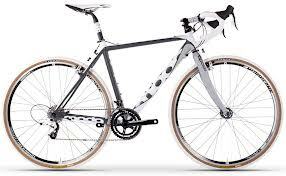 3) If you cycle all year round, have you thought about investing in a “winter” bike, for example one of the cyclocross bikes Eureka Cycle Sports. A winter bike is one that is reserved for cycling on winter roads, when they will be wetter and dirtier, and a cyclocross bike with winter tyres and disc brakes makes a lot of sense. Now is also a good time to grab a bargain on a new bike such as from the range of good quality Ridley bikes. 4) Also check out your bike to make sure it is in good working order and think about replacing tyres with some more robust and grippier versions to add extra stability when riding during slippery or wet weather conditions. The type of tyres that you have on your bike can make a huge distance to your safety on winter roads. 5) As well as wearing a protective helmet, one of the greatest ways that you can safeguard yourself from an accident on the road is to stay aware of your surroundings. Don’t distract yourself by listening to music while you cycle, stay focused and maintain a wide distance from any vehicles that may not have seen you. You could also join a bike skills session for better riding on the roads. But what about Scotland’s cycling epics?